A foot assist bar on the American PRECOR Series Chest Exercise Equipment allows the user to begin exercise in an advantageous pre-stretch start position. The movement arm of the Fitness And Exercise Equipment features a forward-set low pivot for proper motion path. The ratcheting gas-assisted seat adjusts easily and fits a wide range of users. 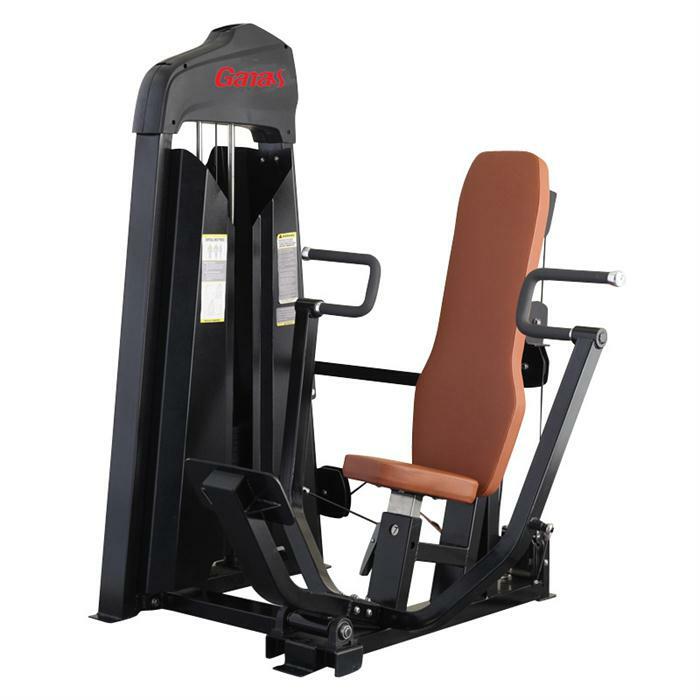 This Sports Exercise Equipment has combination 60*120*3.0mm supportive steel for heavy duty commercial use, protects the machine and make it luxury. Looking for ideal Indoor Exercise Facility Manufacturer & supplier ? We have a wide selection at great prices to help you get creative. All the Sports Exercise Equipment are quality guaranteed. We are China Origin Factory of Chest Exercise Equipment. If you have any question, please feel free to contact us.